Rhythmic Aura Vol. 2 “Synthetic”, Other Virtual Intrument from 8dio. Rhythmic Aura Vol. 2 “Synthetic” for Spectrasonics RMX is a scoring tool designed to create new compositions or augment your existing compositions. This volume is a follow-up to Rhythmic Aura Vol. 1 “Acoustic” – both volumes created by composer Troels Folmann. Rhythmic Aura 2 consists of about 450 synth-based arpeggiations made with analog and virtual analog synths for Spectrasonics RMX. The library contains 4 different source categories of sounds that each cover a different spectrum of your composition. The categories spans from bass to mid to high pitched auras and a selection of arp-based ambiences. You can also purchase Rhythmic Aura Vol. 2 for NI Kontakt or purchase Kontakt and RMX bundle at 40% off. 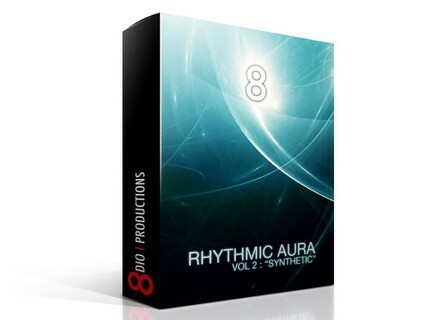 For more details, check out 8dio.com/?btp_product=rhythmic-aura-vol-2-rmx. Hanacsoft Reasonable Distortion Hanacsoft has released Reasonable Distortion, a free VST effect plug-in. Tritone Digital RecallTone TriTone Digital has released RecallTone for Mac OS X in VST, AU and RTAS plug-in formats. eaReckon BloXpander v1.3.0 eaReckon has updated BloXpander to version 1.3.0.